The answer: Yes … most likely. 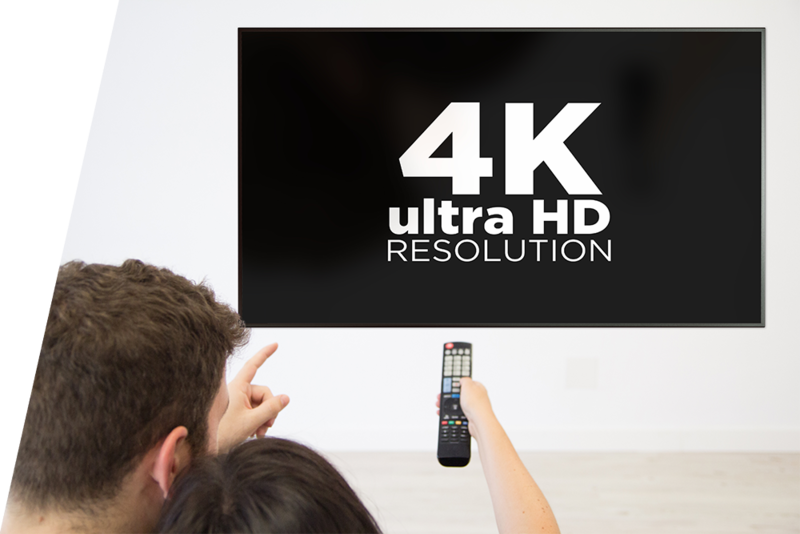 As TV manufacturers enhance their products with Ultra HD resolution, it is not surprising that cable manufacturers are producing 4K HDMI cables. However, your standard HDMI cables will likely support 4K just fine. What is an HDMI cable and what does it do? Let’s start with the basics. HDMI cables connect TVs to source devices, such as cable boxes, Blu-ray/DVD players, gaming consoles, or other media players. They allow you to transmit data (audio, video, etc.) from the source device so that it displays on your TV. HDMI is the universally accepted connector for digital home entertainment. The HDMI standard has evolved to meet the needs of high-performance home theater equipment. All versions of HDMI are backward compatible with previous versions. Do I need a “4K Compatible HDMI Cable? If you are wondering about whether your existing HDMI cable will work, it is possible that you will not need to upgrade to one that is “4K-compatible.” Any HDMI cable up to five meters in length labeled “high speed” should be able to handle the increased bandwidth of 4K signals. Don’t bother spending more on a “better” HDMI cable as it will not give you a “better” 4K image. That is not how HDMI works. If the cable is capable of transmitting a 4K signal, then it works. If your 4K resolution looks grainy, or the image drops out, then the cable simply cannot handle what you are trying to send through it. Is Wireless HDMI an Option? Wireless HDMI is certainly more convenient than wired HDMI. Currently it can wirelessly deliver up to 1080p60 HD (not 4k) quality video from your media player to your TV. If you want a clutter-free environment without messy TV cables, wireless HDMI will free you up. If you want to place your TV anywhere in your home and connect wirelessly to your set top box, Roku or gaming console, then yes, wireless HDMI is a better option for you.